Posted Thursday, May 22nd, 2014 by Robyn Warner. Life can get complicated at times. We’ve found a few tricks to make it simpler, or at least to make you smile. After all, what will help lighten your load like a good laugh? Whether you already have a reputation for making people smile, or you’re just trying to get through the work day with sanity and style, check out what we’ve found. Try using Scotch Tape to clean your keyboard (or a Post-it note). Both are easy to find in an office workspace. 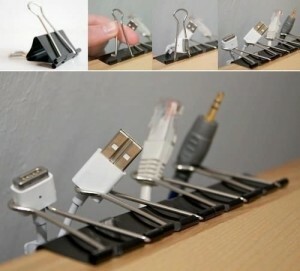 Binder clips can keep multiple cords organized and at the ready. Marking with a black Sharpie can hide scuffs on your shoes. Are office supplies always going missing? Use a spice rack to organize small items like paper clips, pins, staples, etc. Finally, give yourself a kick to get through long afternoons by using the office coffee maker to brew your own iced coffee. Got a water cooler at your workplace? Maybe it could use some redesigning. But let your workmates know you are still being productive, very productive. When your work day really is so busy that you have to take lunch at your desk, clean up crumbs with this innovative little vacuum that plugs directly into a USB drive. 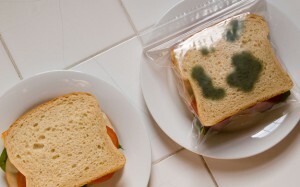 Don’t let anyone be tempted to steal your lunch either. Some green food coloring should help with deterring hungry workmates. On a cautionary note, if you plan to use some (or all) of these office tips, you will probably need to keep an eye out for others who want to trick you in return. A pair of reflective glasses on your desk will help you see who is coming up behind you. 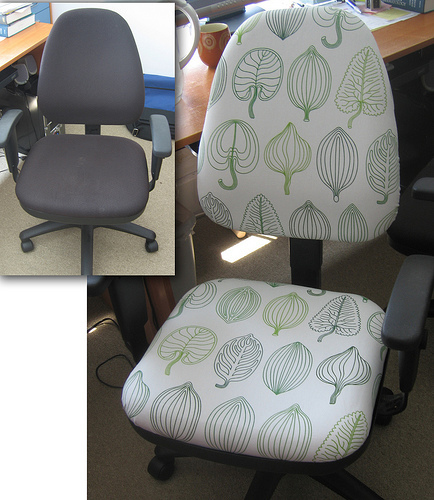 Recover your office chair to decorate and personalize your space. 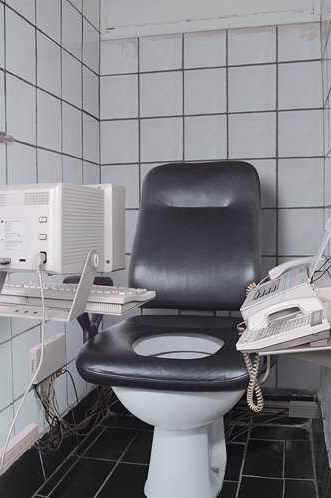 The time it takes to make your office comfortable will improve your productivity in the long run. Make more room on your desk with a cup holder that clips to the edge of the desk. Add a pocket to the back of your tie to have business cards at the ready. Get started simplifying your workday, or at least take a minute to see what others have done to make their workmates smile! We hope these will make you smile too.